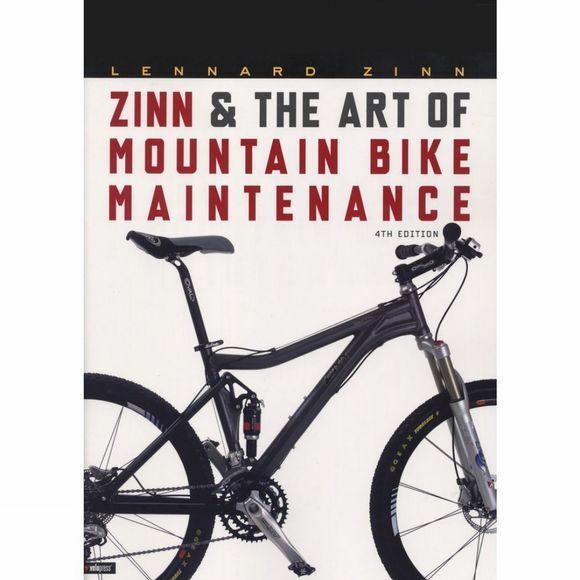 The worlds best-selling book on mountain bike maintenance and repair is Zinn and the Art of Mountain Bike Maintenance. This smartly organized and clearly illustrated guidenow in two colors for easier referencecan make a bike mechanic out of anyone. Lennard Zinn's expert advice makes quick work of mountain bike repair. Newcomers and experienced mechanics alike will benefit from the hundreds of illustrations, the exploded views of how components go together, and Zinn's practical, time-saving tips. His friendly advice and years of experience make tackling even the most daunting task fun and easy. 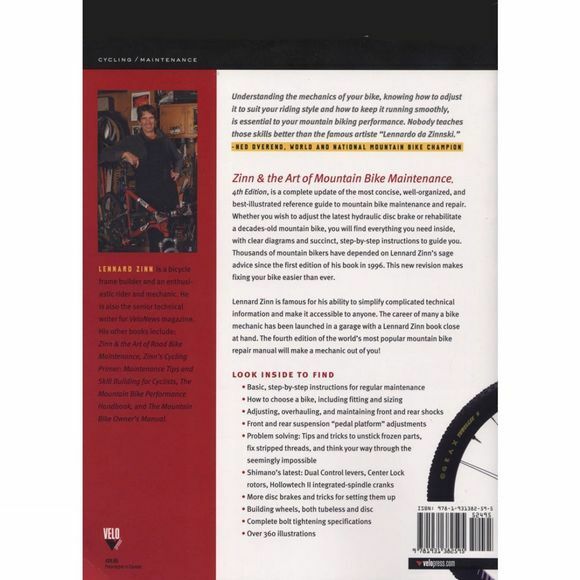 All the latest high-tech equipment is covered in this new edition, but Zinn does not neglect older bikes. Indeed, no matter what mountain bike you may have in your garage, chances are youll find it and the way to fix it in these pages.